*Students can choose to wear their costume to school or change into it before the parade but please leave costume accessories and props at home. The administrative staff from Clairemont High School will be here to discuss school programs, course offerings, and explain the Academy Pathways. THANK YOU so much for your efforts in making this year's Fall Fundraiser the most successful one yet! With your help, we raised $22,626 and had 65% of our students participate! These classes will receive an ice cream sundae party! *The opportunity drawing for super fun prizes will take place on Monday, November 5th. Every purchase you make gives money back to our school, and everything you find on Amazon Prime you can find on Amazon Smile. 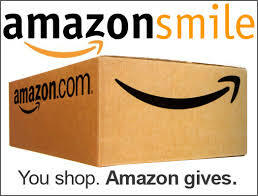 And right now, today through November 2nd, Amazon Smile is giving 5% back which is TEN TIMES the usual rate!! Grab some pizza at Mountain Mikes 11am -9pm and then head over to the new Baskin Robbins 4-10pm for dessert, just a few doors down! Don’t forget to tell them you’re with Holmes Elementary! Parent Teacher Conferences with MINIMUM DAYS Friday (11/9) Tuesday (11/13), Wed (11/14), Thursday (11/15), Friday (11/16). School lets out at 12:30pm on all minimum days.